Vibrant 2" cerise purple trumpets with lime bracts and lovely grey green foliage. 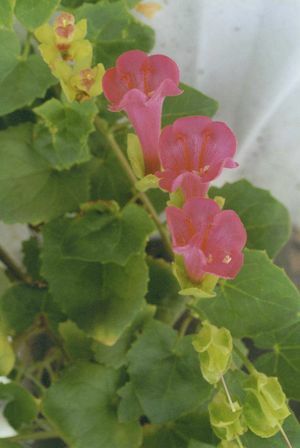 Works on a trellis or in a mixed container. Blooms mid-June to frost. Twining climber.